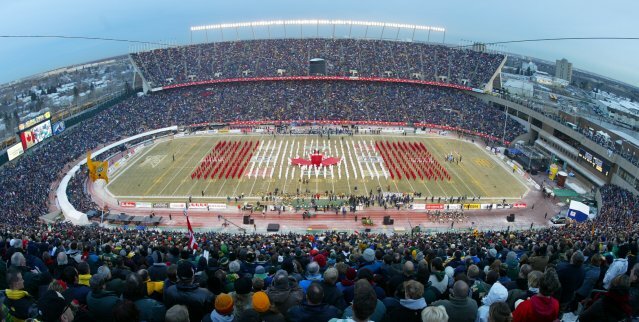 TORONTO — The Canadian Football League kicks off its 2009 season on Canada Day for the first time since the 1998 season and only the second time ever in league history. “July 1st is the perfect day to celebrate that this is our country, this is our league, and the bond between the two is strong,” said Commissioner Mark Cohon. Opening Day on Canada Day promises some football fireworks. The night of football begins with a clash between traditional rivals – the Toronto Argonauts and Hamilton Tiger-Cats from Ivor Wynne Stadium followed by a rematch of the 2008 Grey Cup game with the defending Grey Cup champion Calgary Stampeders hosting the Montreal Alouettes. Both games can be seen in HD on TSN starting at 7pm ET. Toronto Argonauts head coach Bart Andrus will also be making his CFL debut Wednesday night. Andrus’ coaching resume includes two World Bowl titles and an appearance in the Super Bowl. But he begins his first head coaching job with no previous CFL experience as he tries to lead a team that was 4-14 last season back into the East Division playoffs. What’s more, Andrus will also handle the offensive co-ordinator’s duties and call Toronto’s offensive plays. But just last season, longtime NFL assistant coach Marc Trestman took over in Montreal with no previous CFL experience. All Trestman did was lead the Alouettes to first in the East Division and a berth in the Grey Cup. Toronto will have a familiar face in its lineup as for the second straight year long-snapper Randy Srochenski has come out of retirement to re-sign with the club. Srochenski enters his 15th CFL season, eighth with the Argos. Marcel Bellefeuille begins his first full season as Hamilton’s head coach after taking over on an interim basis last year after Charlie Taaffe was fired. After a busy off-season by GM Bob O’Billovich – who acquired tackles Alexandre Gauthier (free agent) and Dan Goodspeed (trade), quarterback Kevin Glenn (free agent)and linebacker Otis Floyd (free agent), to name a few – there’s optimism in Steeltown following last year’s league-worst 3-15 record. Later in Calgary, the Stampeders look to become the first team since the ’96-’97 Argos to successfully repeat as Grey Cup champions. But history won’t exactly be on their side as the ’94 B.C. Lions are the last CFL team to win the league title at home. The ’09 Grey Cup will be held at McMahon Stadium in November. The game will feature two of the CFL’s top quarterbacks in Montreal’s Anthony Calvillo and Calgary’s Henry Burris. Calvillo was the league’s outstanding player last season after throwing a CFL-high 43 touchdown passes. The 16-year veteran will look to surpass the 5,000-yard passing plateau for the sixth time in eight campaigns. Burris was the West Division’s outstanding player in 2008 after establishing career highs in passing yards (5,039) and touchdowns (39). Burris, who signed a four-year contract extension with Calgary last week, led the Stamps to the Grey Cup, earning MVP honours after leading his team past Montreal 22-14 at Olympic Stadium.